Walt Disney World is spread out over an exorbitant amount of land. A quick Google search informed me that Walt Disney World is comprised of over 25,000 acres including the 4 Theme Parks, 2 Water Parks, ESPN Wide World of Sports, Disney Springs, and 20+ Resorts! While we do enough walking while on Mickey’s property and the Disney Transportation is available at no charge there are some reasons that it is nicer to have a car to get around the property. We have always lived close enough to drive to Orlando and have a car at our disposal so we have done Disney with a car to get around and solely using Disney Transportation. We aren’t sure if we would ever rent a car to have one, but if you have access to a personal vehicle while on property; here are five reasons why you should think about shuttling yourself. With the exception of the Magic Kingdom, it is incredibly easy to park at the Theme Parks and walk or take a parking lot shuttle to the front gates. It is wonderful to be able to come and go as we please and knowing the car is right there anytime we want it – for any number of reasons – is a great asset to have. Parking at the Theme Parks is free for resort guests and annual pass holders so there is no extra fee required. The layout of the parking lots has made it incredibly easy – especially at Epcot – to park and be a relatively short distance to the front entrance. Most of the time we are able to park close enough to the front gates that we don’t even bother with the tram – since we’d have to wait anyway! Trying to get from your resort to a breakfast reservation at a park (or worse…another resort!)? You almost need a compass, calculator, and pixie dust to figure out what time to wake up and what time to get to a bus stop so you can make sure you arrive at the desired time. Then, you still could be waiting another twenty minutes to board the bus to get to the location! It’s madness, complete madness! Take the stress out of timing your activities and make a go at it yourself. Leave when you want to, arrive when you plan to – not ninety minutes early because you arrived at the bus stop at the same time the correct bus did – and save time either relaxing at the resorts or enjoying more time in the parks. You won’t have to stand in line for a bus after the fireworks, just walk out and drive into the moonlight! You’ve spent all this time and money to get to Disney World and now you want to leave the property?! It’s true, sometimes we need to make a visit to the pharmacy, grocery store, shoe store, or non-Disney priced restaurant. Having a car gives you a freedom to pick up extras at the grocery store or make an unscheduled trip to the pharmacy for medicine you might not have packed. How about a trip to Downtown Orlando? Maybe the Magic are playing one night? You can plan a day to sneak away without having to pay for a taxi. Ease of access to unforeseen and planned adventures is a great thing to have. Sure there are services that will provide the things you need, but you will pay a premium for them. Save the cash and pay for the gas yourself! This goes along with the timing, but how great is it to be able to go from your resort straight to another resort without transferring somewhere like a theme park? Having our own vehicle has actually encouraged us to resort hop and check out the different holiday displays at different resorts. We’ve been to more resort restaurants on our down days because of the ability to hop in the car and go. 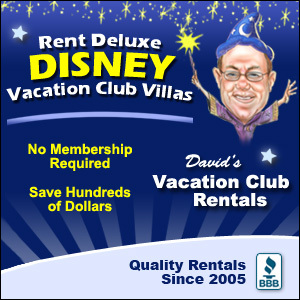 DVC members can also pool hop to certain locations. I’m definitely not riding the bus in my swim gear so the car is the only way to go. Another location to visit are the mini-golf locations. They aren’t difficult to find, but if you want to get there without a car you’ll need to hitchhike or make a couple of bus transfers. Jackets, changes of clothes, extra snacks, diapers, shoes – you name it and you can have it at your fingertips. We learned this one the hard way when we got caught in a terrible thunderstorm in the middle of the Magic Kingdom. It came upon us so quickly that we were soaked in seconds and at that point it didn’t matter if we found cover. We ended up hunkering down in a quick service location until the rain lessened then went to our car for a change of clothes and shoes. That surely saved our afternoon/evening with only a minor detour. We’ve also had times where we needed extra diapers or sunglasses – anything that you think you have enough of. Again we don’t always advocate for a car to get around Disney World, but if it isn’t going to break your budget or cost you anything at all there are definitely a few good reasons to use it as a means of getting around the vast expanse of Disney World. Which do you prefer: Disney Transportation or having your own vehicle at your disposal?